Far be it from me to dissuade international golfers from playing New Zealand’s internationally regarded golf courses, but to fully immerse yourself in Kiwi golf culture and appreciate the game in this beautiful land you do need to include a stop at one of its many unpretentious old country courses. There are many such courses across both the North and South islands, though none as charming, or quite as quirky, as Arrowtown – and certainly none that are as much fun to play. 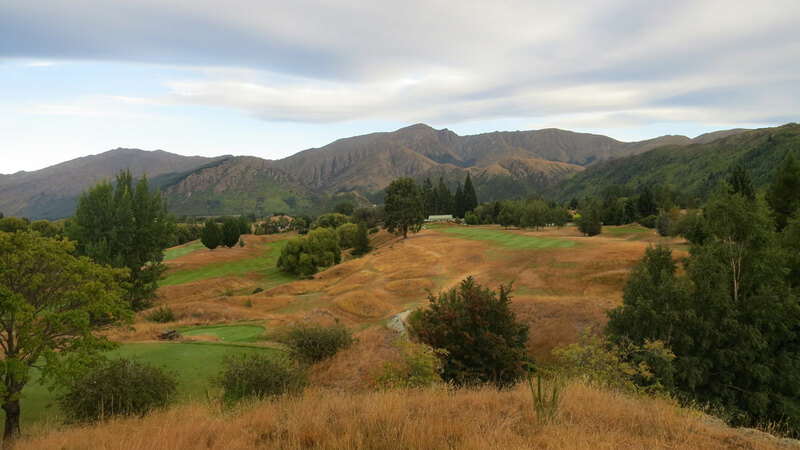 A short drive from the heart of Queenstown, the Arrowtown Golf Club was established in the 1930s on a 9-hole course set in a rectangular glacial vale and laid out by members alongside a regional road. The course was later expanded in the 1970s, with the back nine built on the other side of the road and into the base of a giant ridge. Though the newer plot of land is longer and less erratic than the original site, the nines tie together well, in part because the later members stuck with the unusual tactic of building completely bunkerless golf holes. 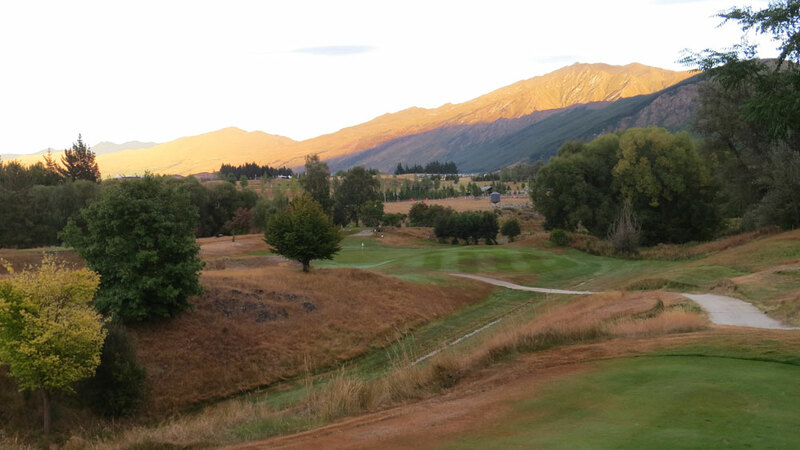 There isn’t a single sand hazard at Arrowtown, nor is the course the poorer for it. Instead, holes tumble and roll across severe undulations, through skinny rock passages and with the bumpy ground, native browntop bentgrasses and some wild design features keeping golfers on their toes. As one would expect, there are a few dullish moments but generally the experience is tremendous and, for many, the equal of the pricey, more high profile modern layouts nearby. 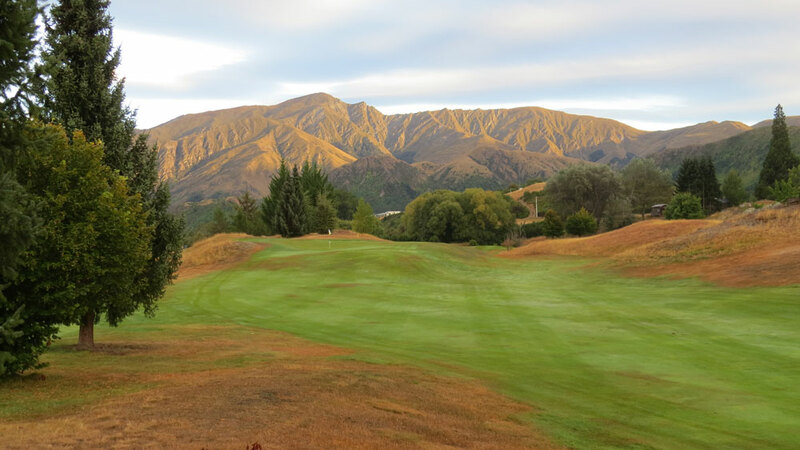 The excitement at Arrowtown starts from the opening hole, a strong par three with a green set immediately beyond a broad mound that you can choose to either fly or bounce off. The 2nd and 3rd then play through anorexic valleys toward undersized push-up targets. The 3rd is especially memorable for a fabulous mountain backdrop and a nasty bump at the front of its green. The remainder of the outward half features blind tee shots, crazy split fairway landing areas and wonderfully organic green areas that are generally small and difficult to hit when firm and bouncy. Among the highlights are tee shots at the short par four 7th and 9th holes, each played from elevated tee pads to angled fairways, the 7th ingeniously obscured behind a rocky hill and the 9th perched spectacularly atop a ridge. The back nine continues the theme of narrow landing areas and compact, unconventional green sites. The par 4, par 3, par 5 combination from the 11th to 13th is particularly pleasing, as is the par four finishing hole, which is hard to decipher first time around as it forces you to either hit short and at a pond or long and blind over a severe hillside. 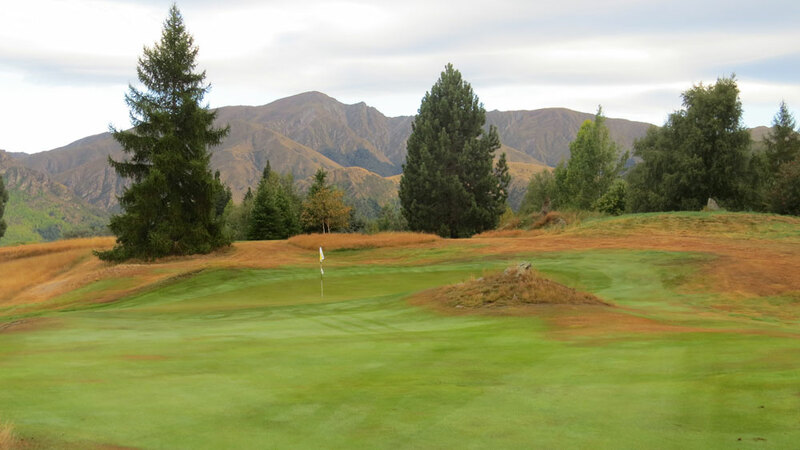 As fun as some of the individual holes are, the over-riding memory of a round at Arrowtown is the feeling of golf as it was meant to be; charismatic, curious, understated, inexpensive and a little light-hearted. The course doesn’t come recommended because it’s short and bunkerless, but because its narrow, bouncy fairways and small greens present a serious and enjoyable challenge. Plus it’s beautiful. There are certainly better courses in New Zealand, but few, if any, that we would prefer to play on a regular basis.